Jazz up your performance! With the most reliable saxophone you've ever played. 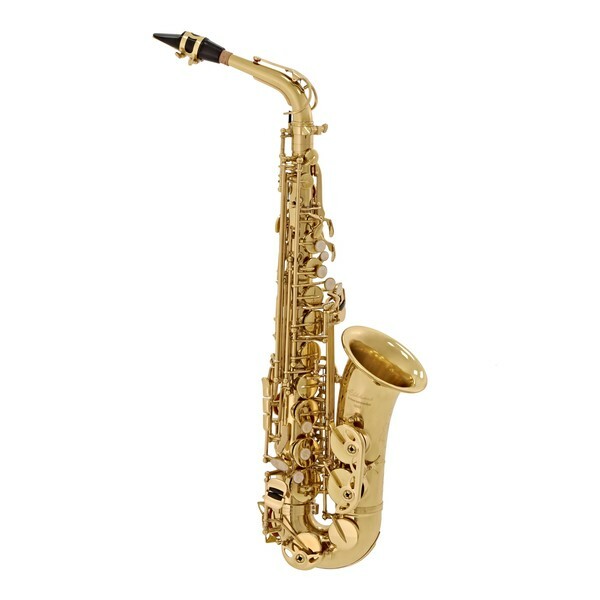 The Elkhart 100AS alto saxophone is a fantastic choice for those looking to really make a statement with their first instrument. 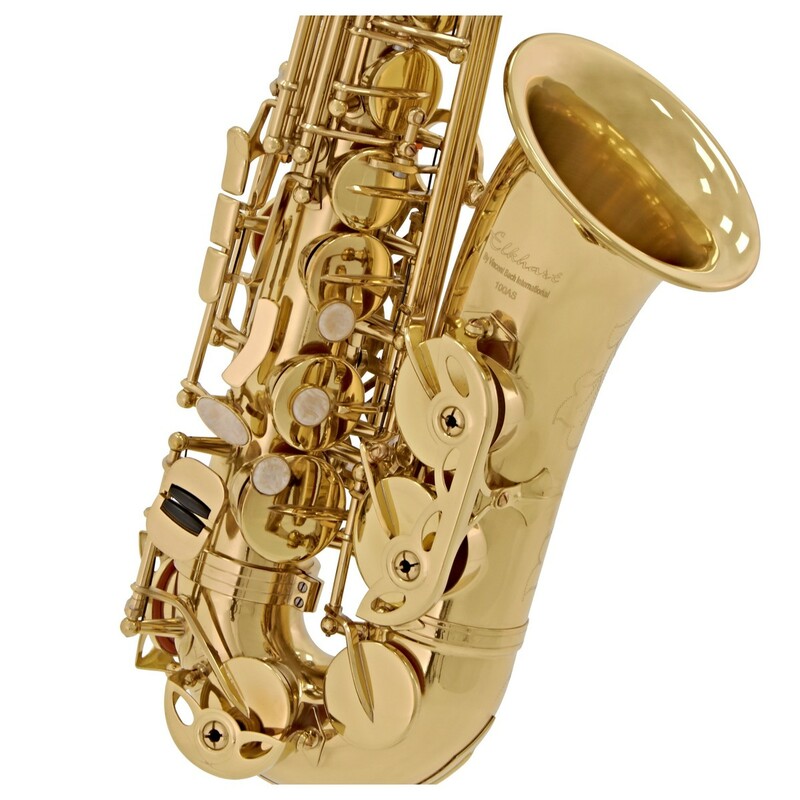 Similar to more expensive saxophones, the Elkhart 100AS is made from yellow brass. This material has the perfect balance of brightness and sonority, without getting too harsh. If you're feeling a bit more outgoing, then the Elkhart 100AS is also available in a number of bright and exciting colours! 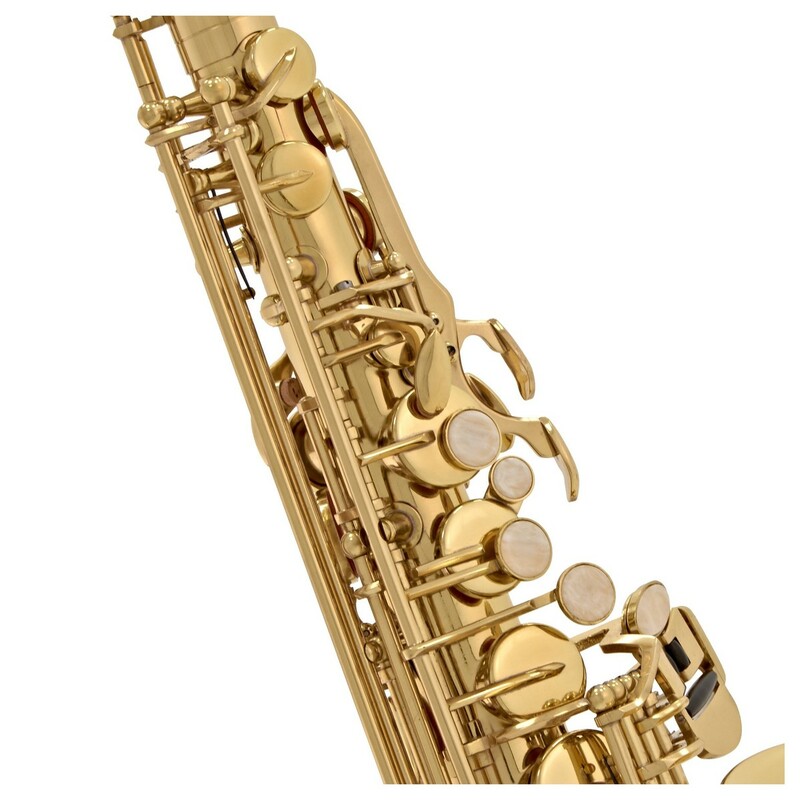 To ensure your new Elkhart saxophone is reliable for years to come, all the keys have been rib mounted. Not only does this add strength to the keywork, but it has the added benefit of improving the resonance. And to guarantee your new saxophone stays safe, it comes in a lightweight case with backpack straps. The Elkhart 100AS will give you the best possible start to learning the alto saxophone. When looking closer at the alto sax, you can really see the attention to detail. To help with durability, Elkhart have decided to rib mount the keys, compared to soldering them directly to the body. Usually only found on more expensive instruments, this small detail will ensure your new saxophone lasts for years to come. Instead of using a traditional brace, the 100AS has a lightweight tri-point brace which not only keeps the weight of the instrument down, but also ensures structural resilience. 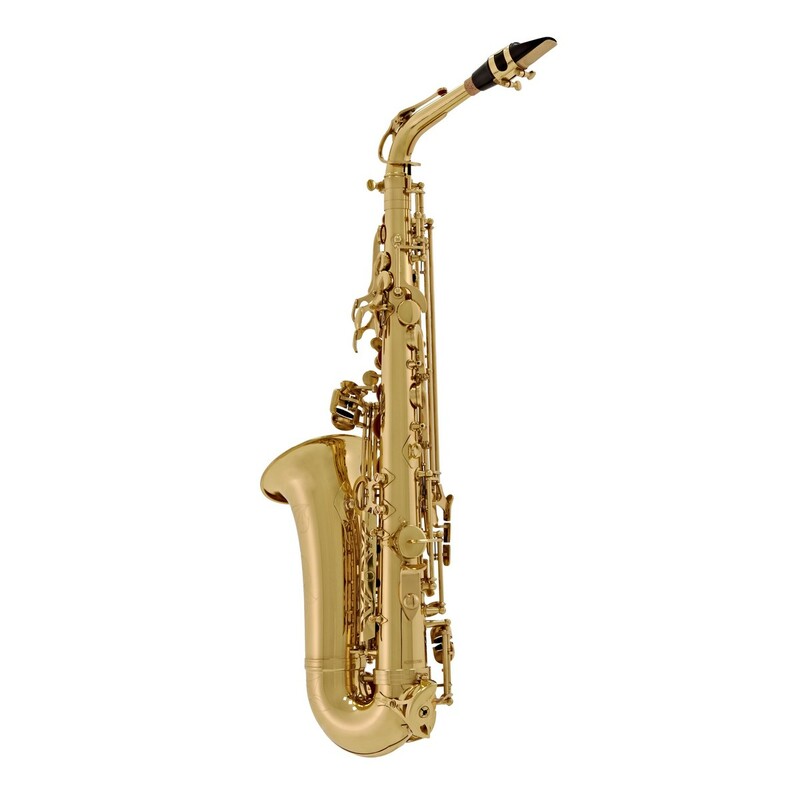 When playing the Elkhart sax, you will realise how responsive and resonant it is. This is thanks to the one-piece bell and body that also provides better projection and adds brilliance to the tone. This is a fantastic instrument for the first time student or for a saxophonist who requires a quality second instrument on a budget. 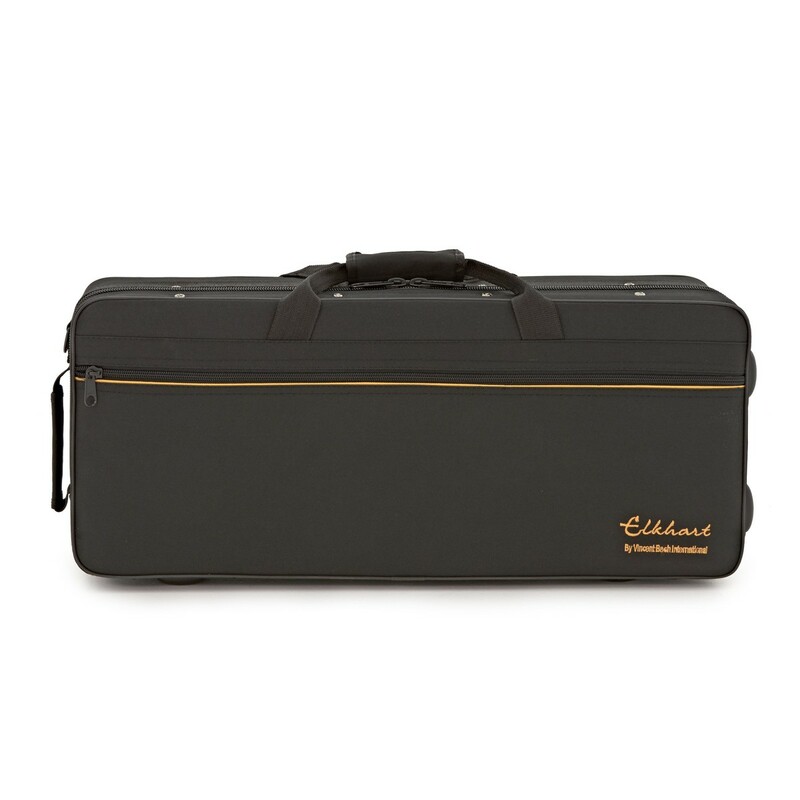 Included with the Elkhart 100AS saxophone is a lightweight case. On the outside of the case you will find handles at the top and side, and even backpack straps at the back. There is also a large zipped compartment on the front of the case to store all of your sheet music. 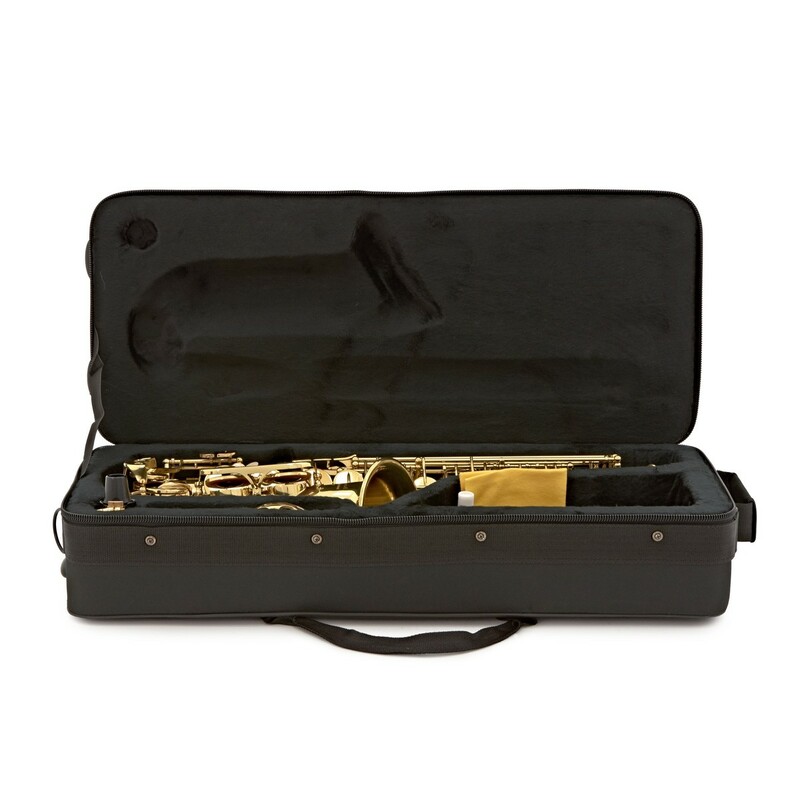 The inside of the case has been specifically moulded to fit the Elkhart 100AS alto saxophone. This moulded interior is then covered with a black soft touch fabric that won't damage the finish of your instrument. At the front of the case, you will find a large compartment which is ideal for storing your wax, pull-through, or any other accessories. 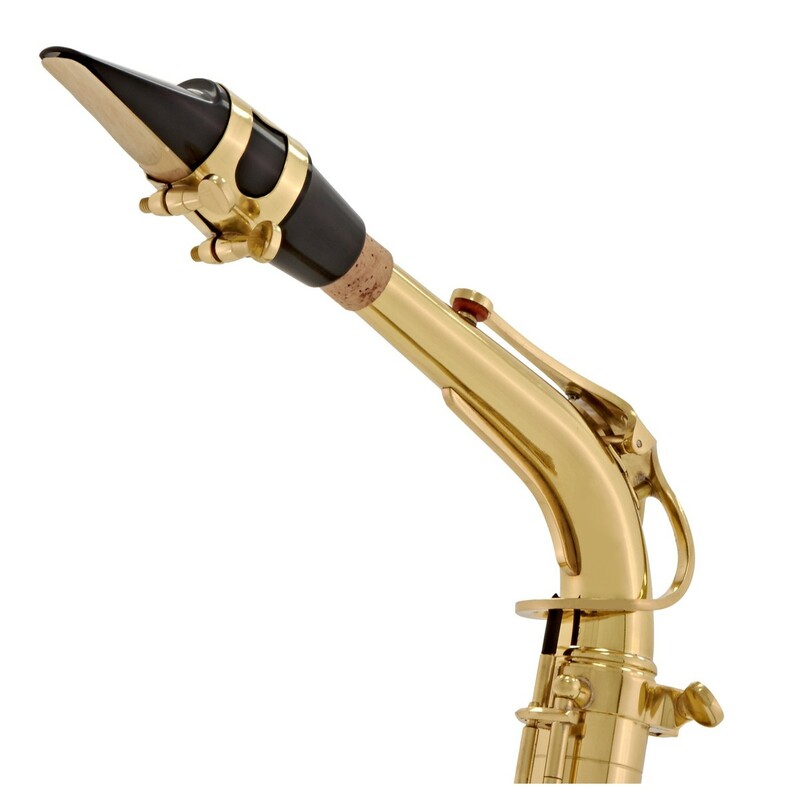 Also included with the 100AS saxophone is a mouthpiece and ligature so you can start playing straightaway.